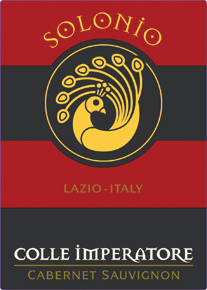 Colle Imperatore is bold red in color with purplish flecks. Aromas of spice, plum, leather, and ripe cherries on the nose. Full-bodied on the palate with good tannins. Pairs well with Florentin lamb chops (with rosemary), roasted meats, and aged cheeses. The grapes are de-stemmed and undergo soft pressing and then a 6-day maceration process on the skins at controlled temperatures. The must is removed, softly pressed, and then micro-oxygenation of the wine takes place. It is refined for 3 months in steel tanks and 3 months in oak barrels.